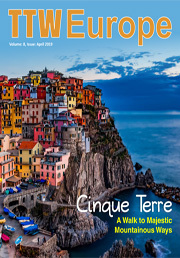 Travel And Tour World, a travel trade media and an information platform, is an all-inclusive and far-reaching B2B travel magazine. It aspires to build a network of travel professionals across the globe to mark its presence in this increasingly competitive market. In a very short span of time, our readership has augmented to more than 250,000, which include niche readers from travel and hospitality trade industry professionals like Tour Operators, Travel Agents, Destination Management Companies, MICE Planners and Luxury Planners. Travel trade shows are a prevalent meeting platform for all the decision makers and MICE leaders worldwide to generate revenue for the travel industry. 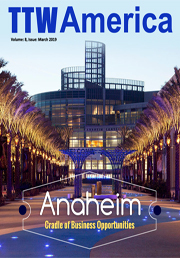 Travel And Tour World promotes more than 100 international travel trade shows in which, the magazine is being distributed physically to the decision makers and buyers of the global travel industry. This furnishes a great prospect to reach the unique travel B2B readers across the world and helps us to promote globally. It is not only a boost from the business outlook but also crafts a global unique readership. Travel And Tour World delves into the roots of tourism. It imparts travel professionals with an upright global outlook through profound coverage of all tourism sectors including prominent hotels and its reviews, airlines, destinations, cruises, meeting and convention centres and a lot more. 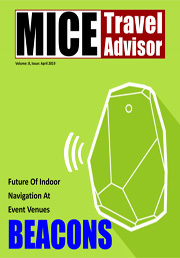 The magazine keeps one abreast with the avant-garde trends as well as the latest technological boons of the industry. 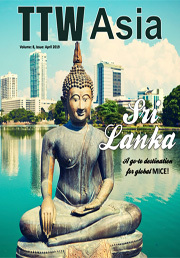 From MICE destinations to awe-inspiring locations, Travel And Tour World wraps it all. It gets you an insight into all the international trade fairs from around the globe. 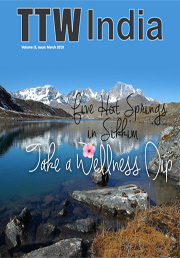 Travel And Tour World develops its brand identity through the online and offline readers of the magazine. This course of action reduces the percentage of the unattended clients around the globe, making the magazine’s reach directed and widespread. Along with the I-pad and Android accessibility, you can delve into Travel And Tour World in a unique flip-book format, which you can read and download from online for free.